Hello Stampers! I know many of you are snowed in like me....what a great time to pull out one of your paper pumpkin kits and get easy creative time in. 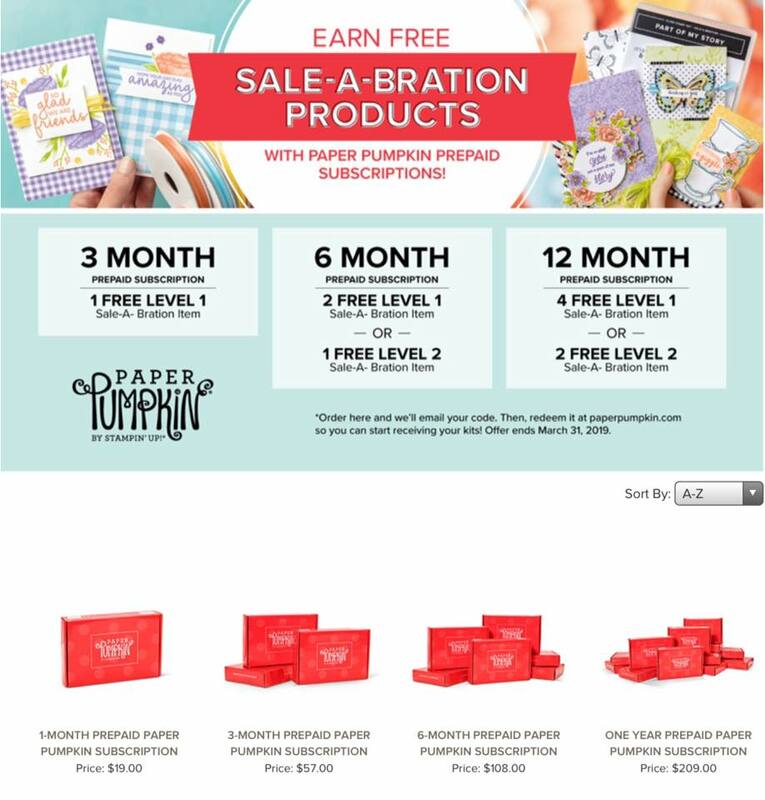 A few paper pumpkin reminders...right now is an excellent time to purchase a 3 or longer prepaid subscription as you also get to choose Sale-A-Brations products. If your birthday is this month or you have my February coupon you can use those too! Free craft supplies/items are my favorites! 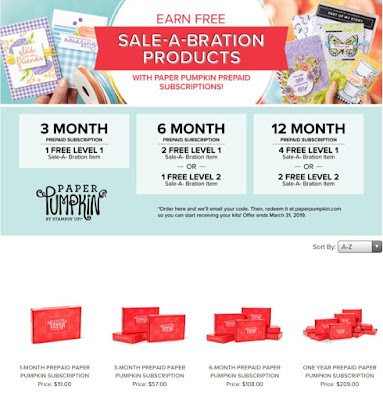 Also tomorrow Sunday 2/10 is the last day to subscribe and get the February Paper Pumpkin kit, so don't delay due that today, CLICK HERE to log in OR to Create Your Paper Pumpkin Account. If you missed the u-tube showing the inspiration for the February kit check it out here, the kit is full size card (6 total). (if your receiving this post via e-mail click The Flying Stamper to watch the u-tube) Can't wait sounds very interesting! If you need any products and don't have a demonstrator or I am your demonstrator you can order online CLICK HERE to do that - please use the Feb Hostess code:E7WKNN46, when ordering if it's UNDER $150.00.